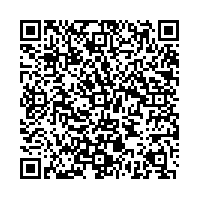 Scan this QR-Code with your mobile to add Ike's Place to your address book! Ike's Place is amazing. Not only are the sandwiches the best in town, the owner is RAD! The only bad side to this place is the wait. I love the sandwiches, but a 2 hour wait for one is just way too long. Totally heaven in-between two slices of bread. Vegan options, which is always good for the meat-deprived and always super fresh ingredients. The location is a bit cramped, but that leads to it's charm, you know? BE WARNED: Call ahead and order your sandwich, seriously. Walk-ins aren't their thing and even though you might think it's perfectly normal to just show up unannounced, if you do, much like your high school reunion, be prepared to have to sit around and wait before anything actually good happens.